Online retailers failing to comply with consumer protection law, says OFT | What Hi-Fi? Many online retailers are breaking consumer laws, says the Office of Fair Trading. More than a third – 62 out of 156 popular sites it checked – may not be fully complying with consumer protection law. In its report, the OFT criticised unreasonable restrictions on refunds, and compulsory charges being added without prior warning at the online checkout. One of the most common problems was retailers wrongly telling customers that returned goods must be in their original packaging or their original state. This is in breach of the buyer's right to inspect or assess a product after purchase. And many online sites failed to give an email contact address, as opposed to a web contact, which is in breach of the E-Commerce regulations. The OFT checked 100 of the most popular online retail sites in the UK, including those selling electrical goods, as well as a selection of clothing sites. Those who fail to comply with the law could be taken to court and face fines, says the OFT. 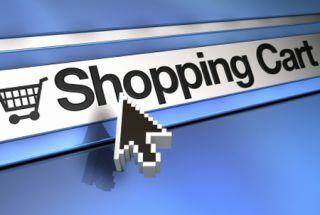 Under current regulations, consumers shopping online, by phone or mail order are covered by the Distance Selling Regulations in addition to their regular rights, which ensure that all goods bought are fit for purpose. The Distance Selling Regulations state that goods should be delivered within 30 days and that shoppers should be given a seven-day cooling-off period in which they can cancel an order and get a full refund.